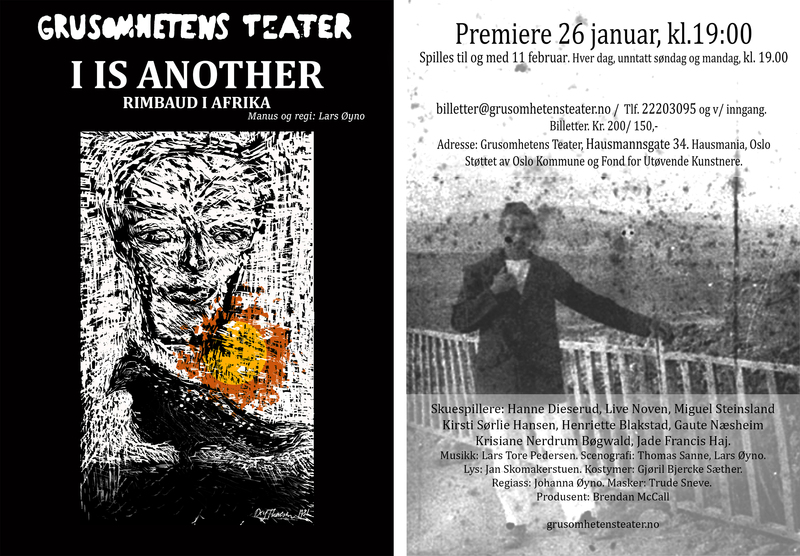 Grusomhetens Teater presenting with premiere 26th of January, “I is another” – Rimbaud in Africa, written and directed by the groups artistic leader Lars Øyno. This is the story about a great poet who left his artistry to become a merchant on another continent. As former colleagues sat in Paris smoking cigarettes, a motivated Rimbaud fougt in Ethiopia to keep the goods flowing. Rimbaud in Africa questions which role art have in society. What did Rimbaud find in selling coffee and guns that the poetry could not provide? Could an answer to this question have any meaning for our lives today?